On DataMaster Online you can find all the technical and marketing information on Software Solutions by Nuance, Notable Solutions Inc NSi, etc for Document capture, Document management, Print accounting and Device management and MPS apps. On DataMaster Online you can compare PDF Transformer+ with its competitors. DMO compares Software Solutions by Nuance, Notable Solutions Inc NSi, etc for Document capture, Document management, Content management, Print accounting and Device management and MPS apps. DMO gives you all the technical requirements and technical information on the features and functions of PDF Transformer+ as well as its competition. All the features and functions, installation requirements and licensing details of PDF Transformer+. 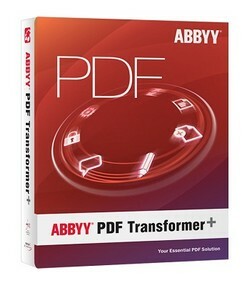 Benchmarking PDF Transformer+ : reports and evaluations of PDF Transformer+ and its competitors. Easy-to-use comparison tools for PDF Transformer+ as well as its competition. On the DMO Benchmarking portal you will also find full details of compatibility of PDF Transformer+ with every copier, MFP and printer on the market.